Fifth Annual Global Education Conference - November 17th - 21st, 2014. We are quickly approaching the 2014 Global Education Conference (#globaled14), which marks our fifth anniversary of this amazing, free, online event. The Global Education Conference is a collaborative, inclusive, world-wide community initiative involving students, educators, and organizations at all levels. It is designed to significantly increase opportunities for connecting classrooms while supporting cultural awareness and recognition of diversity and educational access for all. Our conference co-chair, Lucy Gray, has created some great toolkits to help you get involved in the global education community -- we encourage you to take advantage of this free opportunity to connect your classroom to the broader learning community! This year's conference will be held around the clock for five days, and will include Keynote Presentations by Simon Breakspear of Nextgen Learning, Vicky Colbert of Fundación Escuela Nueva Volvamos a la Gente, Rana Dajani of Taghyeer, Daniel Edelson of National Geographic, Kern Kelley, Educational Technologist at Regional School Unit #19 in Maine, Jennifer D. Klein, Global Educational Consultant, Maureen McLaughlin from the U.S. Department of Education, John Mergendoller of the Buck Institute for Education, Tonya Muro of AFS-USA, Toni Olivieri-Barton, IB Coordinator and Teacher Librarian at Woodmen-Roberts Elementary School, Lisa Parisi, teacher at Herricks UFSD, Leslie Paynter, Prinicipal at Voyager Academy Elementary, Thomas Röhlinger of Radijojo World Childrens Radio & Media Network, Donna Román, EdTech Instructional Specialist, Chicago Public Schools, Emily Roth, Technology Integration Specialist at the International School of Kuala Lumpur in Malaysia, George Saltsman from Lamar University, Homa Tavangar, author of Growing Up Global, Robyn Thiessen, educator at Surrey School District #36, Christie Vilsack of USAID, Jennifer Vollmann of New Global Citizens, and Jim Wynn of Imagine Education and Education Fast Forward (EFF). There is still time to submit a proposal, so be sure to share this opportunity with your colleagues. Check out the conference schedule to see a list of the great sessions that we've got in store for you this year. We look forward to seeing you there! Broaden Your Professional Network Through Volunteering! We're having a great response to our call for volunteers for the Library 2.014 Conference, but there's still plenty of time for you to get involved with this exciting event! Please visit the Volunteer Group to get connected with a team of generous volunteers and our dedicated Volunteer Coordinator, Debbie Faires of the SJSU iSchool. Our conferences are great opportunities for you to broaden your network with professionals, graduate students, and library advocates from all over the world. We appreciate your help, and look forward to seeing you at the conference! Gaming in Ed on YouTube. A big thank you to all of the presenters and volunteers who contributed to this first time event! If you missed out on any of the great Keynote and Distinguished Speaker Presentations last week, you can now view on our Gaming in Ed YouTube Channel. For a full list of presenter recordings, please visit http://gamingined.com/page/recordings-2014. Challenge Success. Join Learning Revolution's friend and Stanford's own Denise Pope live or online this Friday for the Challenge Success event, "Success By Design: Is It Possible?" 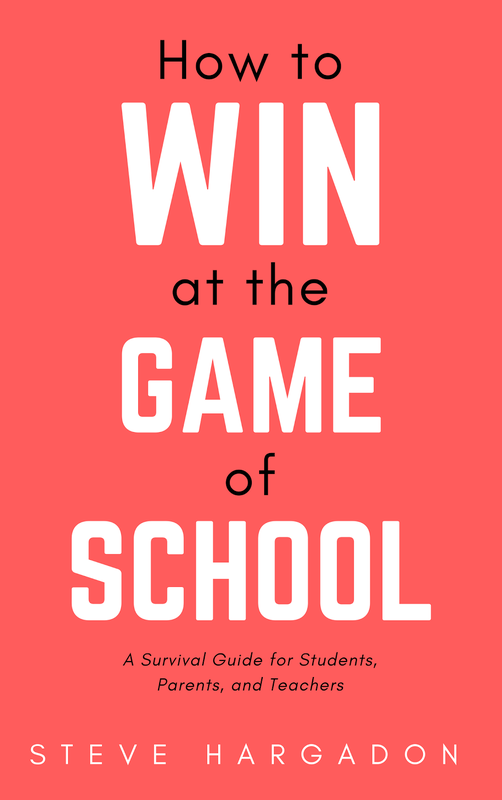 Held at Stanford's Memorial Auditorium, this will be an interactive discussion about the meaning of success: What are the common beliefs about success we convey to kids in our overly scheduled and competitive society? What are the assumptions parents and educators help students design their own unique and authentic paths to success? Thanks to a generous donor who loves the conference and can't attend physically, this year the Friday night component will be live-streamed for first time ever starting at 7pm US-PDT. The link is http://stanfordvideo.stanford.edu/stream/success.htm. Enjoy! Librarians Without Borders (LWB) is an action-oriented non-profit organization that addresses the vast information resource inequity existing between different regions of the world. Our vision is to build sustainable libraries and support their custodians and advocates — librarians. LWB is powered by a volunteer Executive Team, Board of Directors, and library-science students across Canada. More information at http://lwb-online.org/. 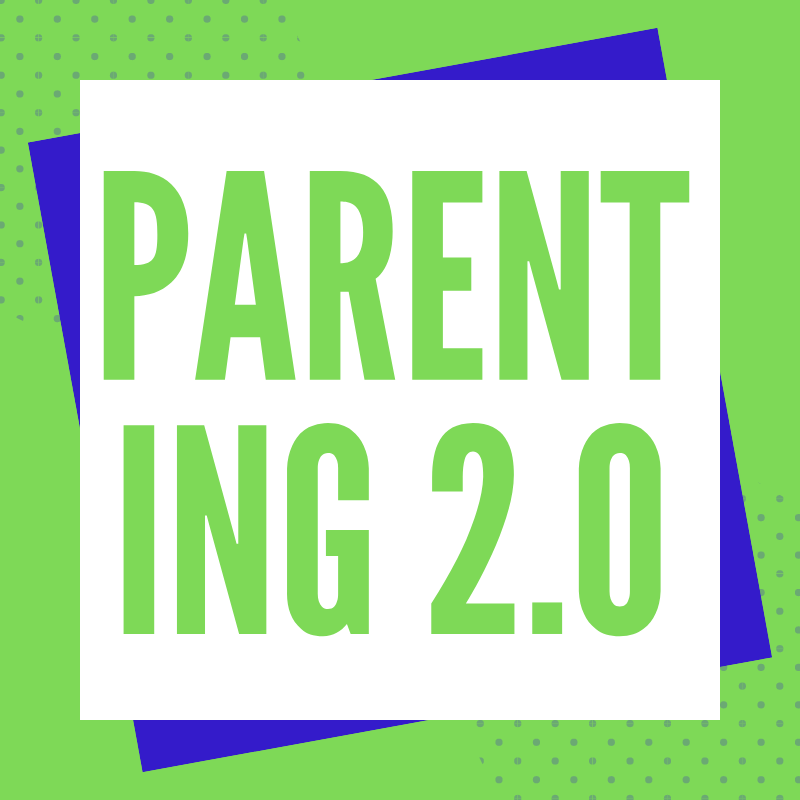 Tuesday, September 23rd at 3pm Common Sense Media - Connecting Families: Rethinking Education about Parenting in a Digital Age, Our goal at Common Sense is to support families in raising kids who think critically and participate responsibly in the digital world. We are proud to announce the latest iteration of our free parent education program, Connecting Families, launching this month. In our community’s next webinar, Darri Stephens and Emily Weinstein will share the substantial changes that were made to this program, based on research they conducted with parents, and ongoing feedback on the program. Darri and Emily will present an overview of the free Connecting Families program, which is designed to support parent educators (e.g., Parent Coordinators, PTSA Coordinators, etc.) who are interested in hosting ongoing, local events at schools. Learn more and register at http://ow.ly/BlA65. Wednesday, September 24th at 9am ELT Live #4, Connecting with Benjamin L. Stewart and his Applied Linguistics students at Universidad Autónoma de Aguascalientes. Join at http://englishbridges.net/live. Wednesday, September 24th at 9pm Teachers Teaching Teachers, Weekly conversations hosted by EdTechTalk, a collaborative open webcasting community. For more information, click here. Saturday, September 27th at 12pm CR20 LIVE Weekly Show - September's Featured Teacher: Kathy Cassidy, We are thrilled to have Kathy Cassidy back on Classroom 2.0 LIVE to share her amazing journey of becoming a connected educator with her students. Kathy is a grade one teacher for Prairie South Schools in Moose Jaw, SK, Canada. 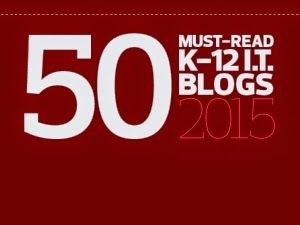 Since 2005, She has a classroom blog and blogs for each of her students. On the classroom blog, she shares classroom happenings through pictures and video showing what the students are learning. Her students’ blogs have developed into online portfolios, showcasing their learning in writing, reading, math, science, social studies and health. They use drawings, screencasts, podcasts and videos to help convey their ideas. They also use wikis or google docs to collect information that will help their learning. They regularly use Skype to connect with other classrooms, friends or experts who can help to answer our questions. She uses a constantly changing list of other online tools as they are appropriate in her classroom as well as Nintendo DS and recently, a class set of iPads. Learn more and see details to join at http://live.classroom20.com. Upcoming deadlines: Presentation proposals will be accepted between now and September 30th for Library 2.014. This fully online, participatory conference presents a unique opportunity to showcase the excellent research and work that you do every day. How does your library manage digital collections? Is your library mobile friendly? Do you have a story to tell about maker spaces? Your participation as a presenter will steer the global conversation about the future of libraries. Please see the call for proposals and conference strands and consider submitting your proposal soon! Karen Fainges from the Gaming in Ed - on "Games"
Dan White from the Gaming in Ed - on "Musings on Game-Based Learning (from the Trenches)"
Barbara Chamberlin from the Gaming in Ed - on "It's OK to Play"
Project Ideas for Student Council on Technology. Houston educational technology trainer, Jorge Cavazos, is planning to organize grade-level tiered student councils on technology in his school district. I need possible small project ideas for them as well as other groups we can connect with around world throughout the year to discuss how they are using technology in their schools in their area. Any ideas or volunteers to connect would be greatly appreciated. Have you tried something like this in your school? Connect with Jorge here. Engaging the Sports Fans in Your Classroom with Newsela. Karen Cameron shares that one of her favorite student news sources, Newsela, is now including a Sports section -- connecting current topics in sports news to global discussions on a variety of topics. In one article, students might read about an Orioles minor leaguer's harrowing escape from Cuba and the push to change the Redskins' name. In another readers will find out how math can be used to improve basketball defenses, or how athletes are pushing for more research into concussions and brain health. This is a great way to engage students who have a hard time connecting their own extracurricular interests to in-class work and reading. Thanks for sharing, Karen! Project Based Learning + Green Schools Paving the Way. Nicholas Garcia of Chalkbeat Colorado reports on the Denver Green School's improved test results following an intensive project-based learning curriculum implementation. The Green Ribbon Schools initiative, run by the federal education department, seeks to showcase schools that are environmentally conscious, academically high achieving, and embracing the social and emotional wellbeing of students. The Denver Green School has demonstrated an improvement across standardized test indicators, which they attribute to the PBL model -- helping to connect student learning to real world issues, and engaging students in social change. Read more here. Student-Made. 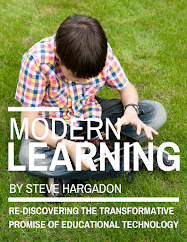 This recent Open Colleges article by Sara Briggs discusses the important shift toward learner-created content that is happening in education. Instead of students being treated as passive consumers of information, we are seeing an emphasis on students as the new experts across multiple disciplines. How are your students encouraged to contribute? What tools do you use to showcase their work? Looking for Your Stories to Celebrate Our Fifth Anniversary. We're looking for GEC members to provide some feedback and reflections about their experiences within our year round community and during our annual online conference. Specifically, we would like to better understand the impact of the network and conference upon our members, both personally and professionally. Tell us if you've found a great project, learned more about a topic, connected to others through GlobalEdCon, etc. We want to hear from you! We will be using your input to possibly create content for multimedia projects for our 2014 conference and for workshops and presentations that we give in various locations related to global education and this event. We need our membership to provide us with recollections and anecdotes as we prepare to celebrate this community. If you have a moment, please take this survey: http://goo.gl/QrJKtp.